In Hawaii, the food can make or break an event. So the menu is one key way that the upcoming 24th annual ‘Iolani School Fair sets itself above the usual carnival fare. The dishes being served up at the fair, which runs April 10 & 11 at the ‘Iolani School campus, range from malasadas to waffle dogs, from kimchee fries to bubble tea. Huli beef sandwiches, a signature offering, will be available, as well as turkey legs, taco salads, gumbo, kimchee fries, and Greek and Korean bulgogi wraps. There will also be several all-new menu items, according to organizers, such as linguine with white clam sauce, fish tacos, lobster bisque, Cuban sandwiches, acai bowls, lilikoi crème brulee and Strawberries Romanoff. While many of the items are creations of students, there will be special offerings from guest chefs as well. Ronni Nasuti of Tiki’s Grill and Bar and Fred DeAngelo from Ola at Turtle Bay Resort will headline a gourmet foot booth showcasing food cooking demonstrations. And that’s just the food. There’s live entertainment scheduled through both days of the fair, featuring several ‘Iolani School musicians as well as Kapala, Chaotic Five, Red Light Challenge, MOJO, COV3R5, Aiden James, and Jordan Segundo. The “I-Factor” talent contest, open to any Hawaii students from kindergarten through 12th grade, offers $2,000 in prize money. There will be a marketplace featuring jams and jellies, plants, handmade quilts and homemade crafts. And a silent auction will feature jewelry, artwork, gift baskets, and gift certificates to popular restaurants. E.K. Fernandez will provide the rides, but another new attraction will be “Keiki Kountry,” with pony rides and other activities for for young children. Add to that several game booths created and run by ‘Iolani parents and students. This year’s theme is “Adventures in Atlantis” (last year’s was “Circus Dreams”), but this annual fair is the school’s largest fundraiser. The money goes to support student travel, a program that last year helped more than 20 academic groups, performing arts troupes, athletic teams and extracurricular clubs at ‘Iolani. The ‘Iolani School Fair runs Friday and Saturday, April 10 & 11, at the school’s campus near the makai end of University Avenue (563 Kamoku Street). There will also be parking and shuttle service from Kaimuki High School. 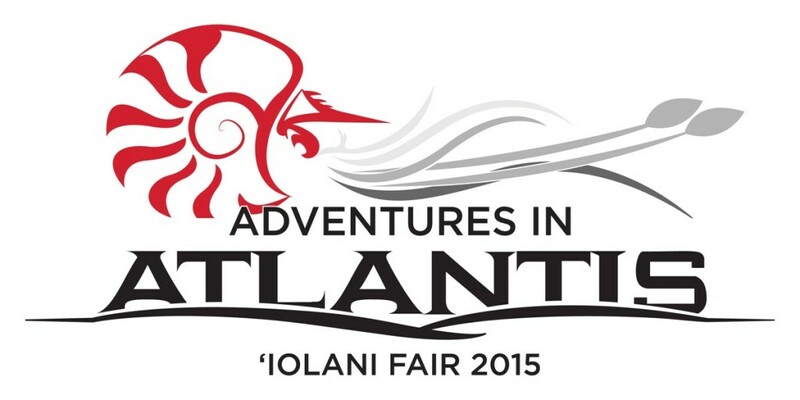 For information, visit www.iolanifair.org.